Do you feel like it’s too time consuming to promote your business on social media? Here’s the secret. You don’t have to go it alone on social media. Even if you are a small business, you can delegate the time intensive efforts to an assistant. The key is to clearly establish who monitors & who responds. Not everyone on your team knows your business well enough to respond to comments. And often times, the person who does have the subject matter expertise doesn’t have time to keep their eye on all their social profiles 24/7. 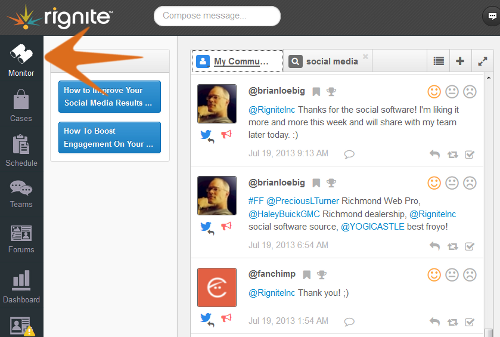 In Rignite, it’s easy to separate the time consuming task of monitoring social media from the high impact (but less time intensive) act of engaging with the community by providing genuine insight and expertise. They can keep an eye out for new comments in the Monitor module, where they can see all activity on all of your social accounts in a single stream—or even multiple streams if that’s what works for your business. If they see a comment that requires someone else to respond, they can assign it to another team member. They will be instantly notified by email when a case has been assigned to them. 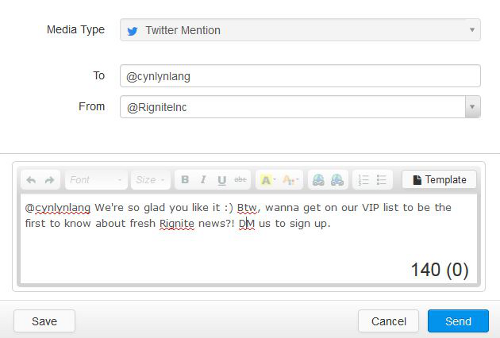 They can simply click the link in the email and respond to the post, directly from Rignite. (2) internal notes left on the case by team members. (4) and if the team needs to discuss a response strategy, they can easily start a chat about the case. If the person who monitors can also respond, but requires the approval of the subject matter expert, they can compose the response in the comment field while assigning the task. The subject matter expert can then simply provide their approval or feedback via instant chat. Tell us…Do you handle social media as a team in your business? What tips do you have for others to make the process more efficient? 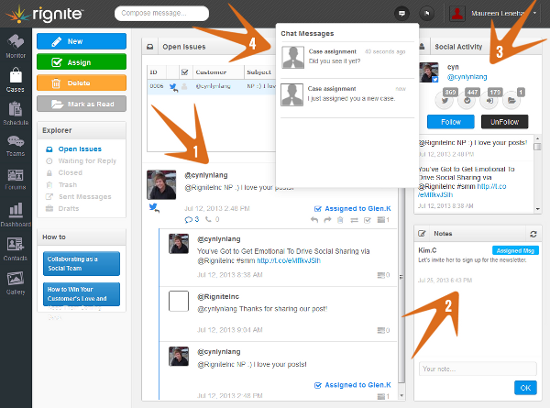 With Rignite, you can post, schedule, collaborate, respond, and track social activity—all in one place.